No spoilers if possible. If absolutely necessary, use spoiler tags. 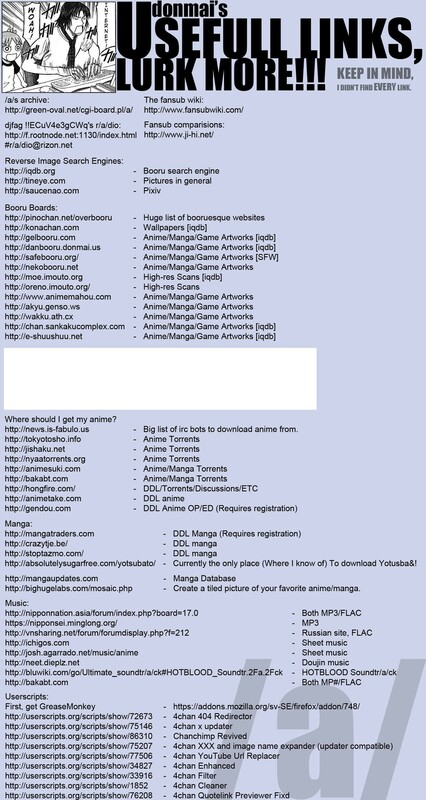 http://www.animetake.com/ - Gathered and organized torrents for your convenience. Also offers DDL links if you insist on DDL. http://myanimelist.net/ (MAL) - Anime directory, cataloger, recommendations, general resource for almost everything from characters to their seiyuu. http://www.animenewsnetwork.com/ - Self proclaimed "internet's most trusted anime news source"
Everyone's familiar with Josh's music. Probably the most completely collection. I recently happened across this little site. It's not in English, but it has quite a lovely collection of VN OST transcriptions. myanimelist.net - anime directory, recommendations, characters, details of anime, keep track of what you've watched, etc. often called MAL. Voting system, genre, studios, etc. Useful to find more things to watch. anime-planet.com - similar to MAL. Also does manga as well. 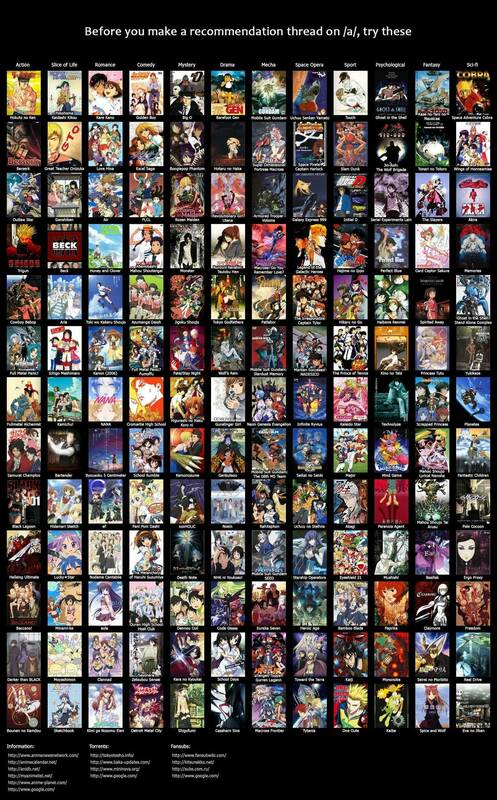 Approximates how much anime you've watched. animenewsnetwork - useful for news/updates/information. pretty decent resource for information. encyclopedia of anime, manga, etc. bakabt.com - one of the best for finding torrents that have seeders. yeah they're that good. No licensed anime/manga though. bakabt also has lots of OST collections as well. only if you're desperate and cannot download. Just about everything you need. onemanga is now defunct, but I think everything else about this is accurate. 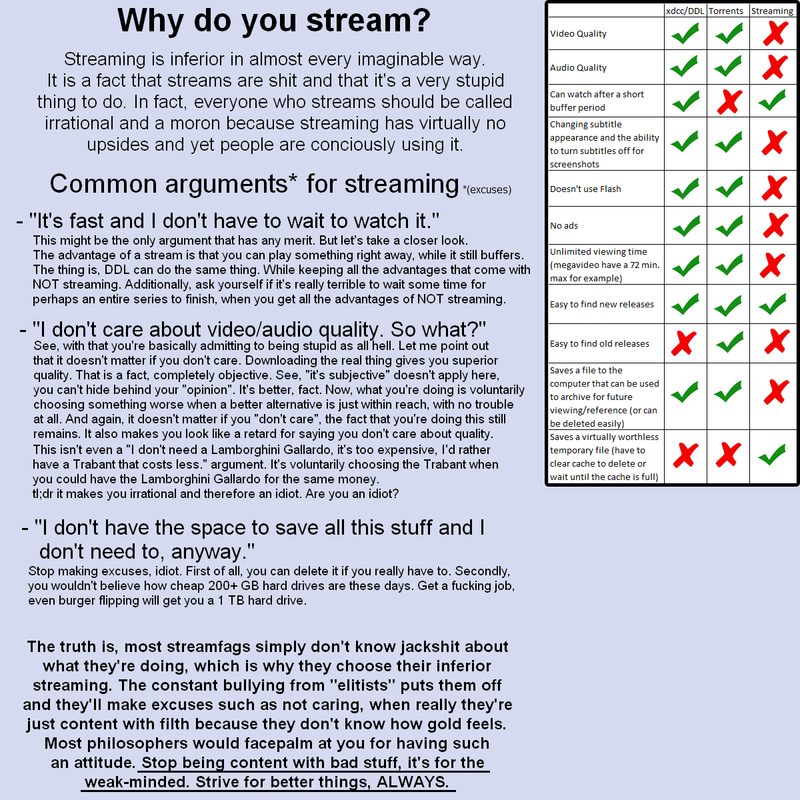 Disregard the parts talking about /a/, but it's a useful pictorial guide. Really can't find anything to watch? Try these. Even sorted out by category, approximately, for your viewing pleasure. Kind of old, but still valid. Want to read some manga? Here you go. 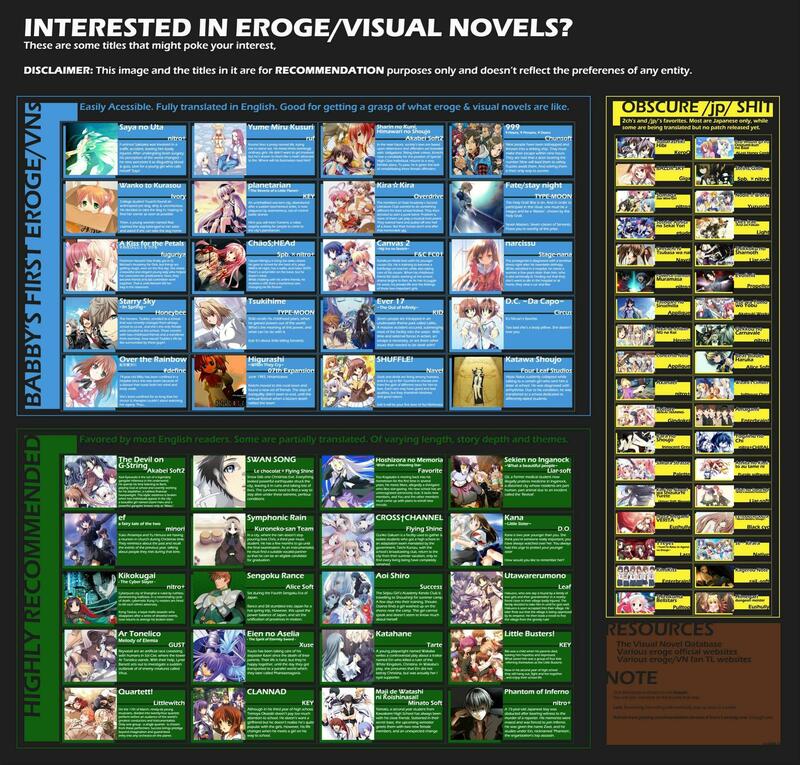 If you like visual novels, and/or want to start reading them. DDL site for VNs, if you don't feel like torrenting. EDIT: nevermind, since megaupload is dead, this source is now irrelevant. There are a few gems in here I never knew about so I already like this thread. I went to a few of the sites and they're all websites to obtain Chinese cartoons illegally. Please stop pirating and support the industry by subscribing to Crunchyroll. They give back part of your subscription money to the studios. Downloading is illegal and does harm to the industry. You wouldn't download a car. Oh, I'm also reading the Tokyo Ghoul manga. I like the anime better in this case, though. Also, I believe Flash is currently using webm for showcasing the character's skills in the 'Classes' link. I find cloud censors, steamy smoke censors and such are minor things. Also, I just finished watching Tokyo Ghoul's final ep today. Epic as always. I just finished reading the manga as well. Man ... final chapter is the definition of cliffhangers. So many unsolved mysteries. I read tokyo ghoul manga first and then started watching the anime. And i must admit the fact that i am literally hooked to it. I'm amazed how they have made the characters so lovable. I'm on season 2 and hope that Kaneki and Touka come in a relationship soon. Can't wait to see how they have portrayed it in the anime!! I just bought a kaneki mask from tokyoghoulmask.com and i can't wait to wear it on twin con!! I read grand blue manga and I think this is best manga because this manga story and character so nice. 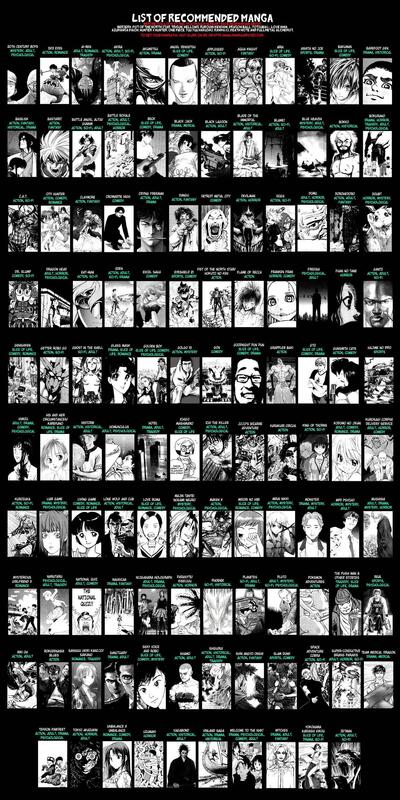 A lot of manga is good but reading is the best hot manga on mangazuki.me, makes me happy. I like this manga. I read tsuyokute new saga manga online [all chapters] - mangazuki and I think this is one of the best manga. This is one of the best manga. Do you like Tsuyokute New Saga Manga?